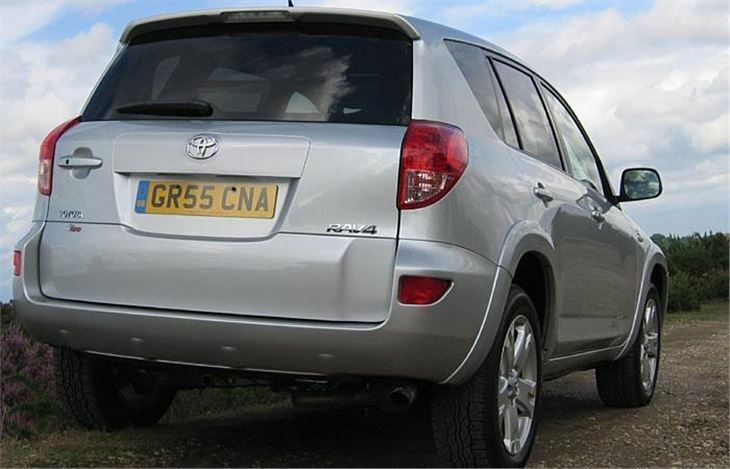 After 4 months and only 1,850 miles my ‘long term’ RAV-4 D-4D 180 has now gone back to its maker. 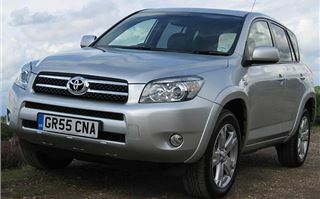 You can see my road test of another at Toyota RAV-4 T180 2006 Road Test, which carries a full description. This one wasn’t as melodious as the first, at first. We took a while to get used to each other. And running on Total diesel most of the time it wasn’t quite as economical. 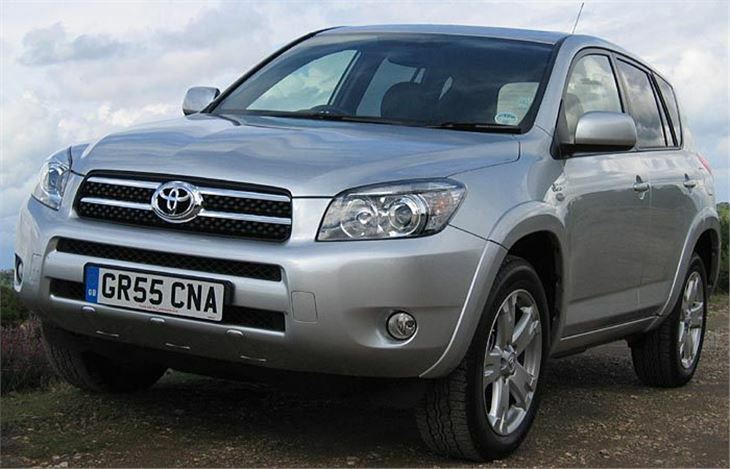 Though an average of 37mpg over 1,784 miles is still pretty good for a big 4x4 capable of 0-60 in 9 seconds. Those miles included a fair bit of town running including an hour getting nowhere fast on Tooting High Road. And a long time idling while waiting for some valet parking. I reckon on Shell diesel or BP Ultimate I’d probably have averaged 38. By the way, over 4 months, the Bridgestone runflats lost no pressure at all and the engine used no oil. The seating position seems a bit odd, but you get used to it and it’s actually very comfortable. The gearchange is snickily precise, but with 400Nm torque the box doesn’t like the shift from 1st to 2nd. Grip and handling on the big 235/55 R18 Bridgestone Dueller runflats is very good indeed, but obviously ride comfort isn’t as good as from the 225/60 R17s fitter to lesser RAV-4s. 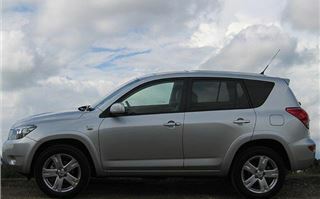 I had a chance to compare it directly with the new 2007 CR-V, and though the CR-V is an easier drive the RAV actually hangs on longer if you really start pushing it. The T180 comes loaded with DVD touch-screen satnav, Bluetooth hands-free phone (that worked with my Nokia 6630) and a good quality radio that didn’t lose its Radio 2 FM signal even with the aerial removed for the carwash. 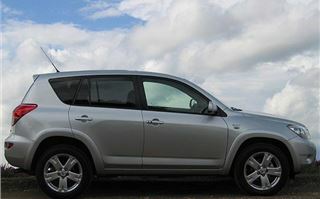 I recommend the colour silver on the RAV because I only washed it once, to be polite, at the end of my tenure and it didn’t actually look dirty before my £7 was spent. It’s more luxurious inside but not as practical as the old RAV-4. 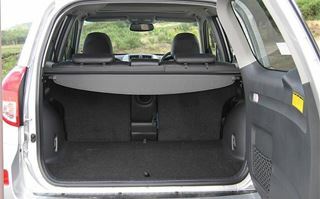 The load floor is higher with space underneath it, but that means you lose the low sill much liked by dogs leaping into the back. 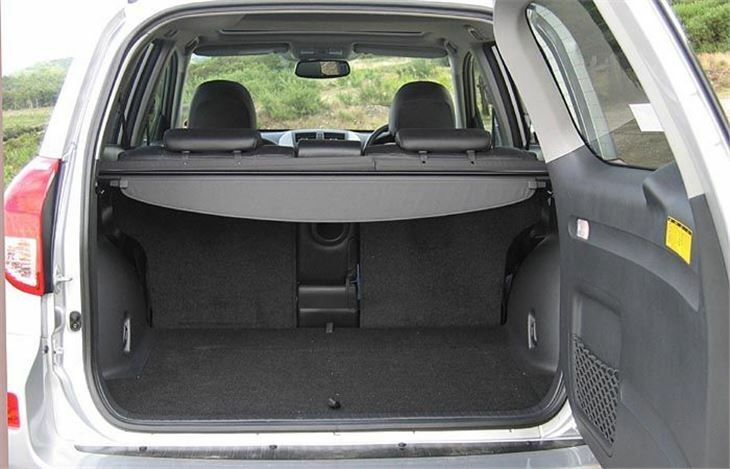 And the seats fold flat but don’t double-fold like they do on a CR-V. I forgave it these minor design lapses because it’s such a good car to drive. While you get the full benefit of 400NM torque from 2,000 – 2,600rpm, there’s still plenty of it available from around 1,200 and the engine doesn’t complain if you get down to 1,000rpm. 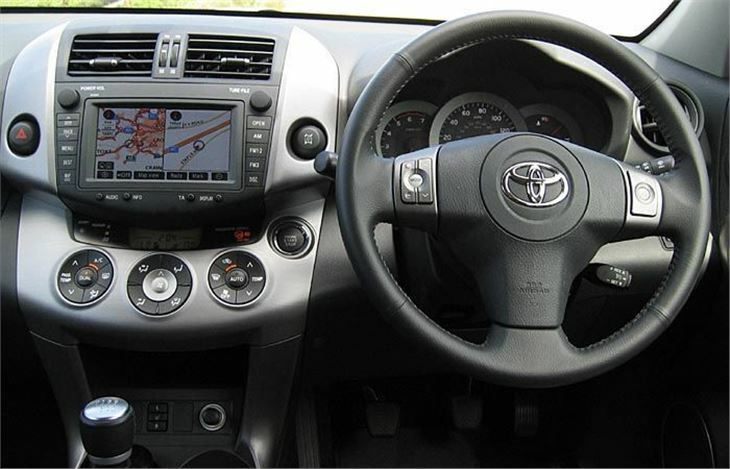 There’s really very little need to use more than 2,000rpm accelerating through the gears and even overtaking the torque whacks you past most things no trouble. 6th gives about 32.5mph per 1,000 rpm, which is a very good compromise. Though cruise at 80+ and you can see your average mpg go down from the 38s to the 36s. It’s astonishingly good in town traffic. 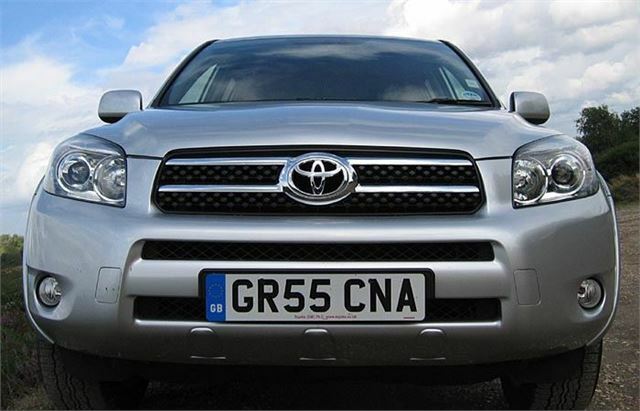 I wasn’t particularly looking forward to my forays into the smoke-free zone, but the RAV seems to shrink and thread its way through the congestion very well indeed. Now it’s been gone for a couple of days and I’m back to a normal small hatchback I’m suffering withdrawal symptoms. I miss the commanding driving position that helped me see further ahead and anticipate traffic problems. I miss the astonishing power delivery. I miss the feeling of being connected to the road through the steering. I miss the satnav. I miss the convenience of the climate control bringing the temperature up to exactly 20 degrees centigrade, just as it brought it down to 20 degrees in the summer. I miss the cruise control. 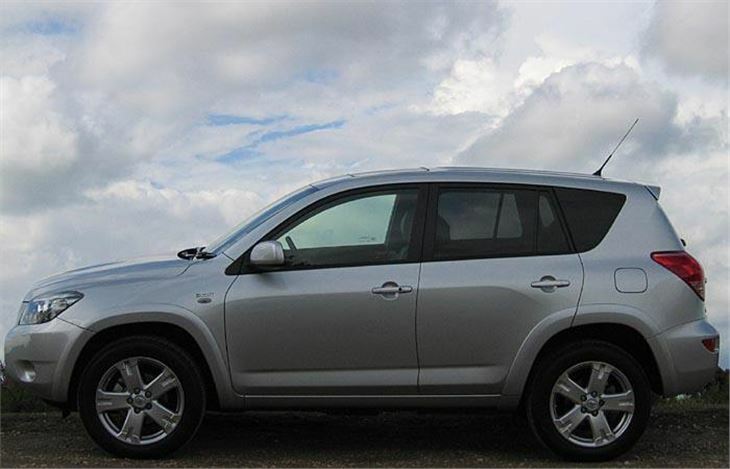 Though the RAV-4 seemed like too much car for just one bloke, it was actually the perfect car for me.